iMapBuilder provides options to draw custom regions on the map. 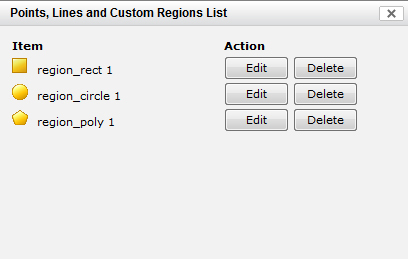 The custom regions can be a rectangular region, circular region, or a polygon. Custom Region, e.g. concentric circle would be useful for a coverage map, to visualize range or distance.